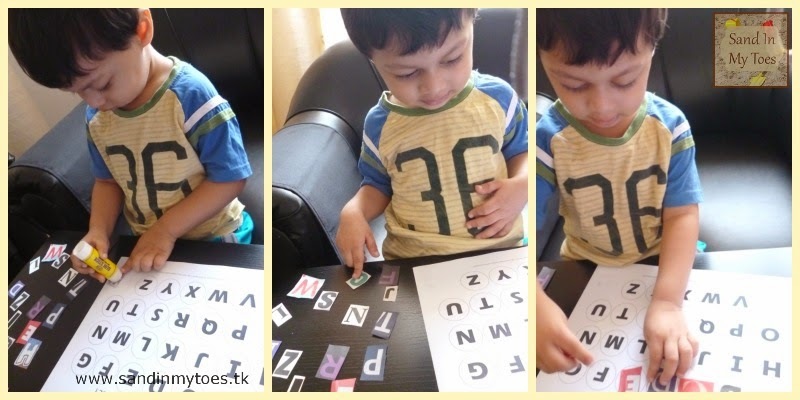 Learning the alphabet doesn't have to be limited to flash cards and books. 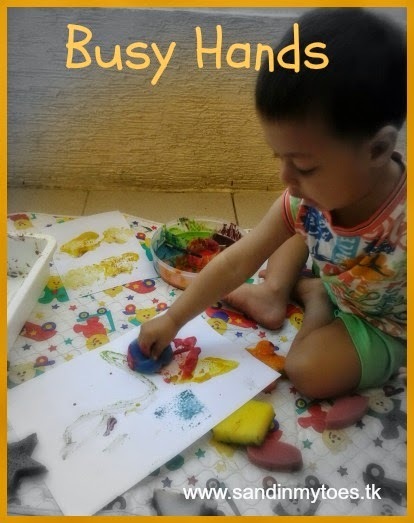 There are so many engaging activities that toddlers and preschoolers can do to master the letters, at their own pace. I have mentioned it before, learning through play is one of the best ways to learn, and also a technique that creates more sticky memories. 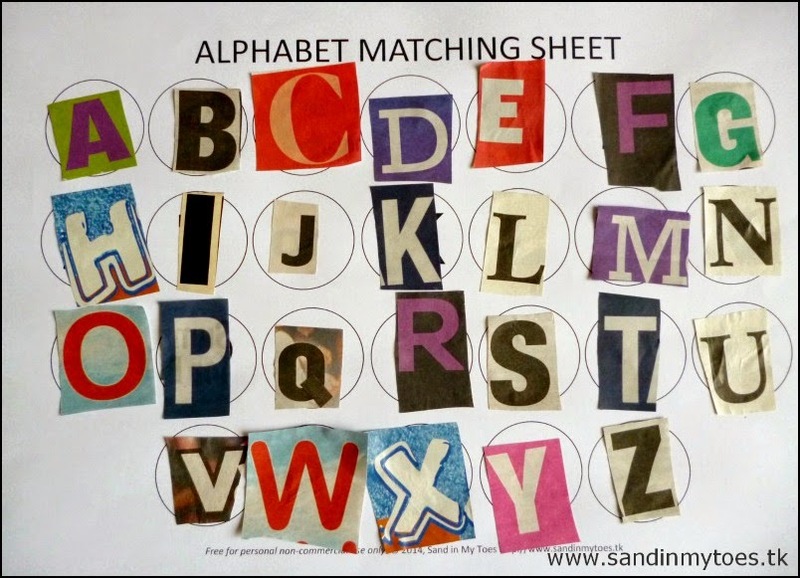 We did this Alphabet Matching activity that was fun in so many ways. It's as much fun setting up the materials as it is doing the activity itself! Cut out letters from newspapers and magazines. Try to find as many types of clear fonts and colours as you can. Children can help with this prep by identifying and cutting out the letters, depending on their level of skills. 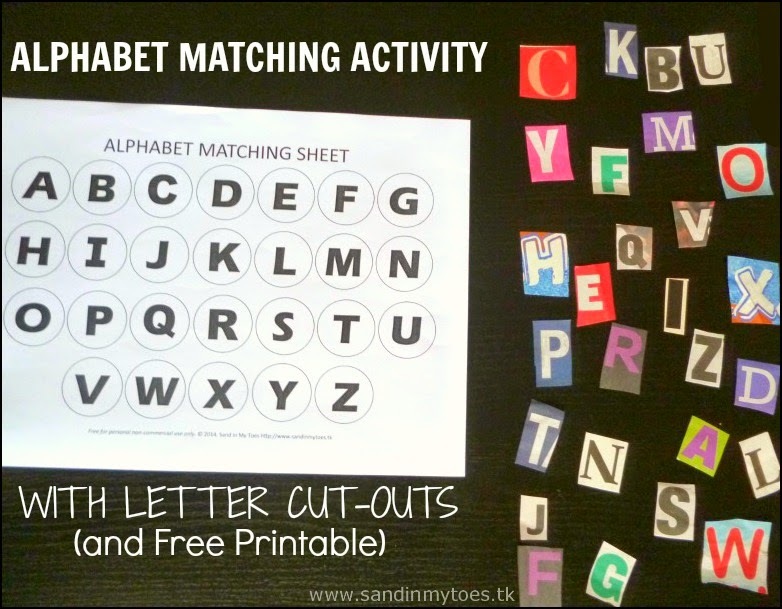 On the Alphabet Matching sheet (see below for free printable) or a plain sheet on which you've written the alphabets, let your child paste the alphabets from the cut-out letters at the right places. This doesn't have to be done in order. In fact, I would encourage doing it randomly. I laid out the printed Alphabet Matching Sheet and the letters side by side (right side up) for Little Dude. He did pretty well in identifying the letters from among the various fonts and styles, with a little help from me here and there! I think he enjoyed the pasting part the most. He was very happy with the completed sheet and has proudly displayed it for all to see! I'm happy to be offering you my first free printable with this activity! 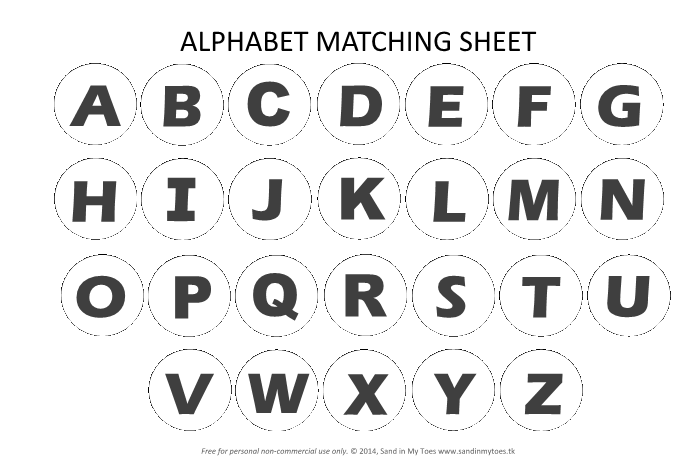 Download the Alphabet Matching Sheet here. Once you have clicked on the link, it will open in Google Drive. There is no log in required. You can either download the printable by clicking on the arrow (for printing later), or print directly by clicking on the print icon. The file is in PDF format, you will have to use Adobe Reader if you are downloading it to open and print later. - Identifying letters of the alphabet. - Promoting cutting and pasting skills. - Identifying different styles, which will help develop reading skills. I hope you have fun trying this out with your kids! This is so neat! I wish I had it when my kids were young. Very cool. What a fun literacy activity! I'll be printing this tomorrow to do with my toddler. She knows about half her letters and she LOVES glue. Thanks! I bet if I hand drew a different base sheet, my preschooler could do a similar sight word version of this while my toddler worked on the printable. Then they both could have fun looking through magazines. Thanks again! What a great activity of learning and fun! I lvd these simple learning activities. That's a great idea, it would be wonderful if they could do an activity together! I hope she has fun with it! 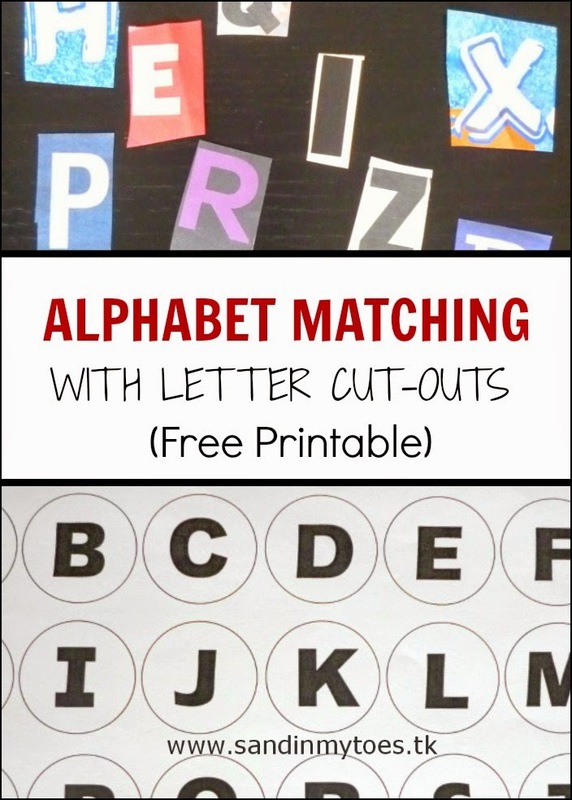 You can find many alphabet activities on Pinterest. I even have a board called Learning Through Play, you can get some ideas there! The cutting part is really the fun bit! Hi Tarana, this is such a great learning and crafty activity. Thanks for sharing at the #Lovetolearnlinky. I am planning on featuring your post. Please stop by again to see your feature and link up again. Have a great day! Cutting will be good for my son's fine motor, as well as his literacy - so thank you. I have featured this on the Kids Co-op. I LOVE this activity! I'm going to do it with my 4 year old next week. I love this! I am homeschooling this year and trying to teach my K5 daughter the sounds and letter recognition. Thanks for sharing this. Thanks for this! It's perfect for my preschooler!